VLC media player for Android and PC is a free and open source cross-platform multimedia player that plays most multimedia files as well as discs, devices, and network streaming protocols. 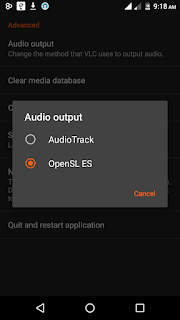 Although with a complete database, an equalizer and filters, VLC plays all weird audio formats but sometimes when we have some Videos or sometimes Audio files on our Android smartphones and gadgets, VLC cannot play Audio sound for it. 2. Change VLC app Settings - this works whether you have updated your VLC App or Not. Follow the simple steps. iv.) 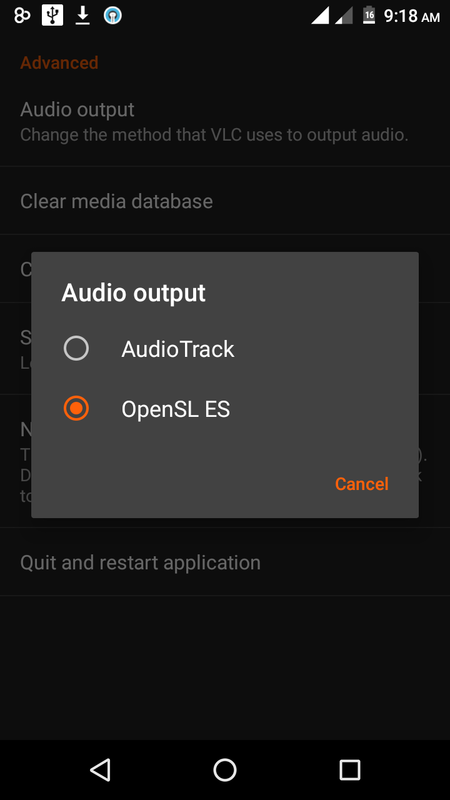 Here you'll find Audio Output , Tap it and select "OpenSL ES"
Now go back and play the files (Video or song) again, it should play with Audio sound for you to hear and enjoy.